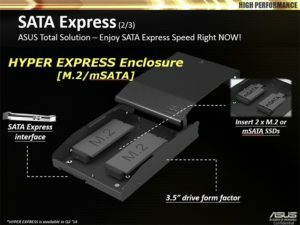 A few days ago, ASUS released a press release informing us that the company is the first in the world to unleash full SATA Express performance. Further, according to that news, users of upcoming Asus motherboards will enjoy sequential read/write speeds of up to 745MBps / 809MBps respectively, so fast that transferring a 10GB full length HD movie would only take 10 seconds to transfer, via the SATA Express interface. But Asus didn’t revealed what drive they used to take advantage of such speeds. 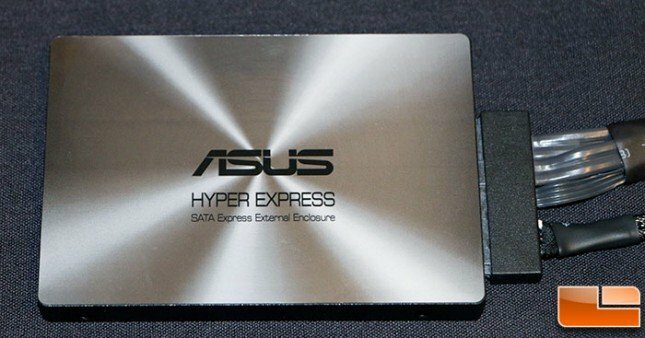 Thanks to Legit Reviews they have revealed the ASUS Hyper Express, an SSD SATA Express External Enclosure, which will make use of the SATA Express interface. 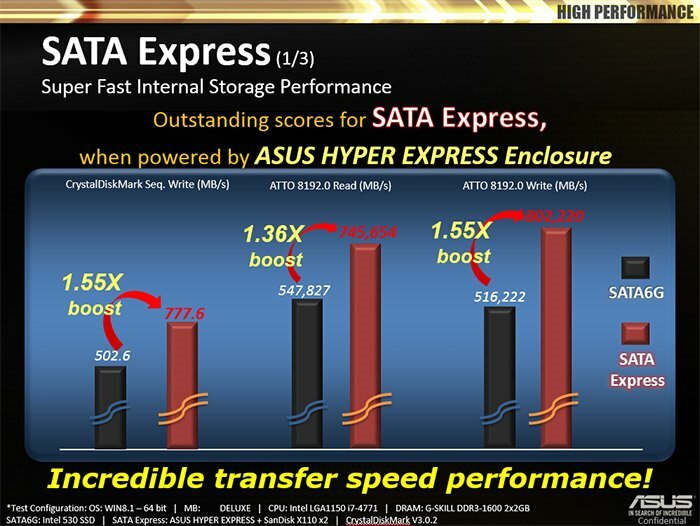 Check out more details about the ASUS Hyper Express below. 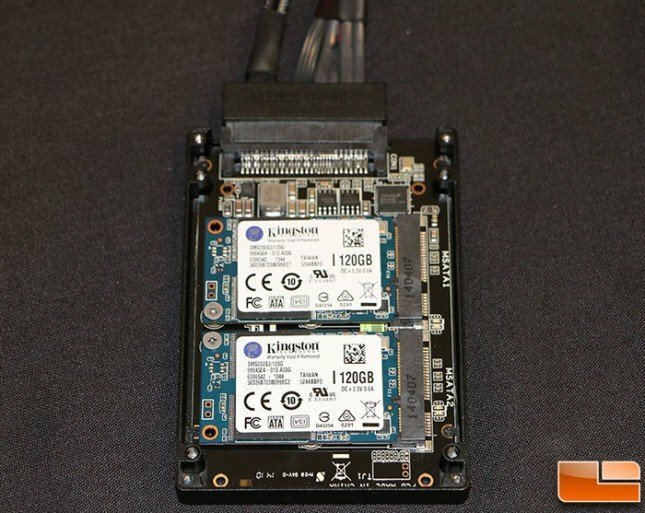 The ASUS Hyper Express SATA Express External Enclosure looks like a 2.5-inch SSD, but opening the enclosure will reveal two mSATA SSD configured in RAID 0 mode. 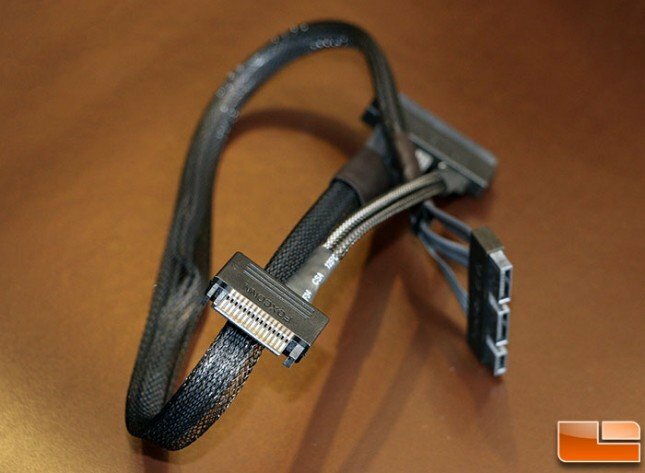 According to Asus, this is not yet the final product since it is still a prototype. 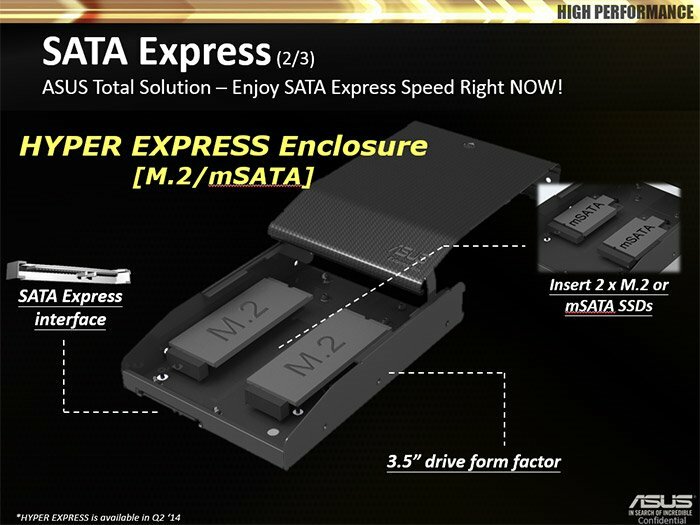 The company is also planning to release a 3.5-inch Hyper Express Enclosure that will host two M.2 NGFF SSD or mSATA SSDs, and a 3.5-inch enclosure that will host two 2.5-inch SATA SSD or HDD in RAID 0 configurations. 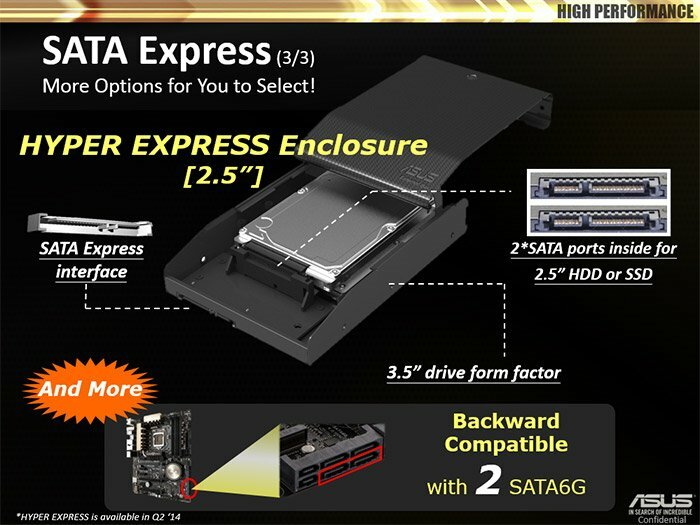 Both type of enclosure will feature the SATA Express interface and is said to be backwards compatible using 2 SATA 6Gbps ports. The demo unit, aside from using two Kingston 120GB mSATA SSD, uses ASMedia ASM1062R controller that comes with RAID support. Using the ASUS Hyper Express drive, the company is expecting to reach speeds of up to 745MBps sequential read and 809MBps sequential write. As you can see from the CrytalDiskMark screenshot below, the drive was able to reach 704.2 MB/s sequential read and 746.7 MB/s sequential write. But this was using SanDisk X110 256GB mSATA drives. These speeds are definitely faster than your typical SSD, and could be comparable to a PCIe based SSDs already, perhaps even better. But take note, that a single ASUS Hyper Express has two SSDs in RAID 0 config using SATA Express interface. What I want to see is, how will it par with two SATA 6 Gbps SSD in RAID 0 config, and two M.2 PCIE NGFF (or PCIE based SSD) in RAID 0. Based on this different setup, which one would be the more cost effective solution, or the setup that will yield the higher cost/performance ratio. Overall, the ASUS Hyper Express looks interesting, and would definitely be useful in motherboards with SATA Express interface, like the Asus ROG Z97 motherboards which were recently revealed. I’m looking forward to see this in action once it is officially released in two months, more or less.